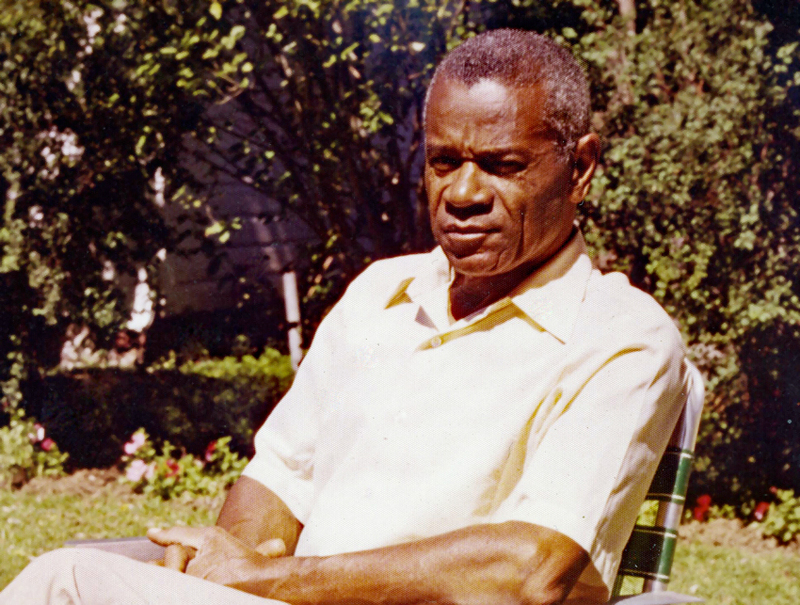 Audrey Lee sitting in his backyard at 40 Corey Street, Windsor, CT., c.1978. WHS collections 2014.43.1, gift of Gordon Kenneson. The recording was made at Mr. Lee’s home in Windsor. Audrey talks about his early school years at the Arsenal School in Hartford and subsequently at Roger Wolcott School and John Fitch High School in Windsor. He describes the Wilson neighborhood in the mid-20th century; learning to drive; his experiences in the Civilian Conservation Corps in Cornwall, CT; his friendship with Winthrop Rockefeller; serving on various town committees; and his honeymoon trip to Maine and Montreal with a return visit to the Montreal World’s Fair Expo 1967. The full audio recording is 2 hours long and can be heard if you visit the Windsor Historical Society research library, or contact the librarian/archivist Michelle Tom at mtom@windsorhistoricalsociety.org. The transcript for the entire interview is here: full transcript.